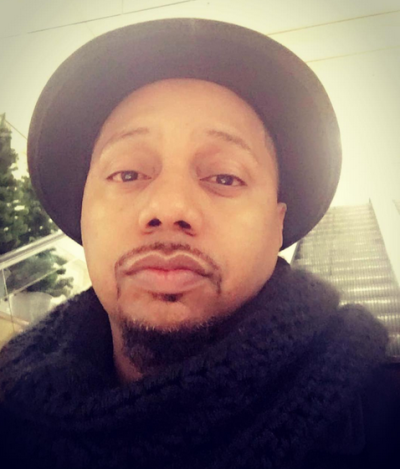 The gospel music community is showing Deon Kipping that he's not alone in his battle with cancer, and is supporting the singer by raising over $25,000 to help pay for his medical expenses. On Tuesday, gospel stars William Murphy, Tasha Cobbs, JJ Hairston, Jonathan Nelson, Isaac Carree, Jason Nelson, VaShawn Mitchell, Gerald and Tammi Haddon, Zacardi Cortez and James Fortune came together for an event called "A Night Of Love" at Cathedral of the Holy Spirit church in Bridgeport, Connecticut. There, the musicians praised, ministered and helped raise money for Kipping, who publicly announced earlier this year that he has cancer. He has already undergone five weeks of treatment. In an interview with The Christian Post Friday, Kipping's good friend, choir master JJ Hairston, explained why it was important for him to contribute his time and efforts to the event. "My mother passed from cancer so I know what that means. I know what that takes, how it affects the family, [and] how it affects the person," said Hairston, while promoting his new album "You Deserve This" which was released Friday. "So, it was important that all the gospel music artists came together to support Deon. I think that was great that we did it and we raised over $25,000." A number of gospel artists like William Murphy, VaShawn Mitchell, and Tasha Cobbs promoted the benefit concert event on their social media pages while asking their followers to donate to the cause. "We're standing with our brother #DeonKipping today, and as a Body, we're going to collectively lift this burden. God dealt with the cancer, now we're going to deal with the debt," a message on Murphy's page reads. "All we need is 1,900 of you to stand with a $10 love offering, because I'm sowing the first $500, and declaring #samegrace! If God did it for Deon, He'll do it for us!" Following the church event supporting the Connecticut-based gospel singer, Kipping took to Instagram to express his gratitude for the financial, emotional and spiritual support he has received from peers and fans in his time of need. "I woke up this morning speechless! I try to help so many people, it's been something my grandfather instilled in me," he wrote. "I personally have never experienced acts of kindness of this magnitude. I didn't ask for it. I don't deserve it, but I am so grateful!